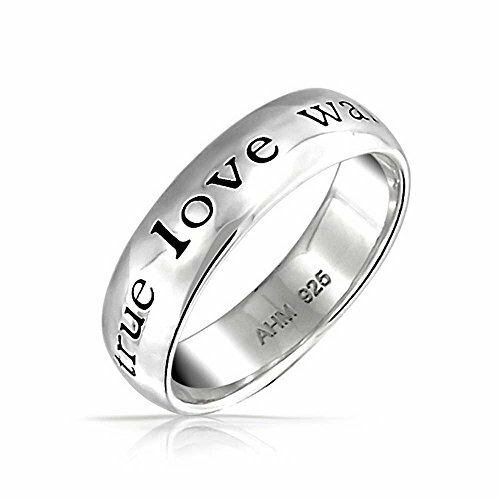 Make a bold commitment to purity with this classic True Love Waits sterling silver band ring. 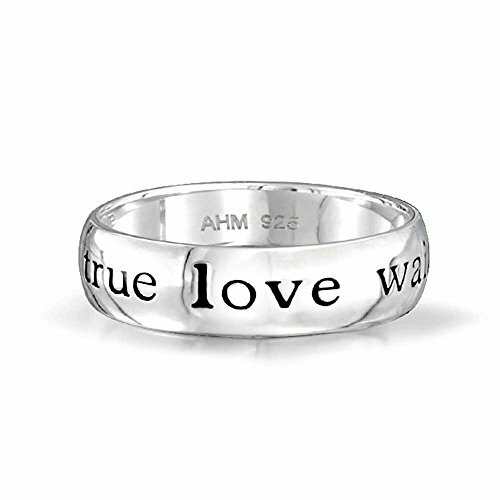 This promise ring is understated and yet modern with an inspiring message inscribed in black lettering on the outside of the silver band. This is a great gift from a parent, ensuring that their young one follows the right path. 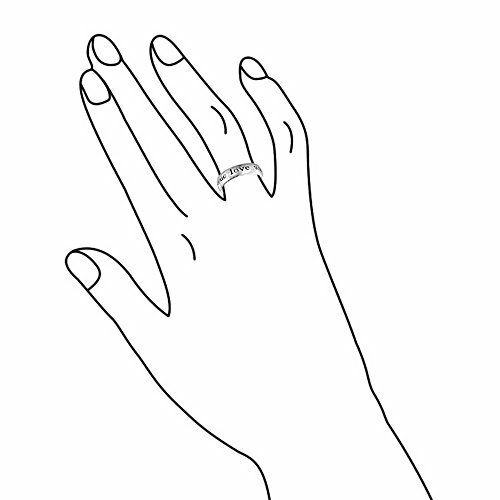 This silver purity ring is a great price and can be engraved on the back. Be pure. Purchase your silver ring today.